It’s the dream of just about everyone to build their brand new home from the ground up or be the very first home owner in new construction real estate. Austin’s new home construction real estate market is booming and there’s never been more to choose from. There’s a lot to consider when building your new home. Where should you build and what builder should you hire? Should you build a sustainable home? What are the pitfalls of building a new home as opposed to buying an older home? This is where our team of new construction real estate experts can help you. Our team has knowledge and working relationships with all of the top builders and developers in the Austin area and we know what’s involved in new construction homes for sale. 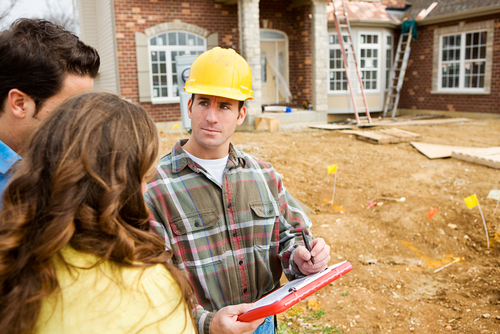 We have years of experience dealing with new home construction and have the answers you seek. Discover where to find the best of new construction homes for sale in the Austin area or read more about the benefits of buying a brand new home in the city! You'll find our website to be a one-stop resource for your new construction home research. We're eager to tell you what we know about the local market for condos or homes, pre-construction, or whatever is most interesting at the moment—that's where you'll usually find us! 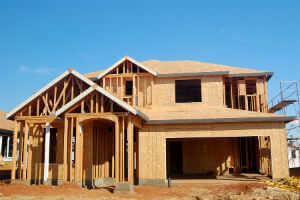 With so many new construction homes for sale in the Austin area, where do you start looking and what do you look for? There’s a lot to consider when buying or building a new home, especially if you're looking at working with a developer. The new construction realty experts at Berkshire Hathaway have exclusive knowledge to all the new developments and we’ve spent years developing relationships with Austin’s premiere builders. When it comes to new construction homes for sale, our team has the knowledge and expertise to find you that new home you’ve been dreaming about. Investing in a home in Austin can be one of the biggest financial opportunities of your life. Berkshire Hathaway has the knowledge and experience needed to help you make the right choice. When it comes to selecting a home there are many pieces of a puzzle that must fit together, including choosing a home that meets the growing needs of your family, finding a property that won't run you down with maintenance costs and knowing that your new home's investment potential will continue to grow. Below are some of the top reasons why you should buy a new construction home for sale today! The cost of owning a home can increase dramatically when you start adding up the prices of home renovations needed to maintain your property. In addition to having a new mortgage, you may also be responsible for paying for a new roof, foundation repairs and heating issues that arise. When you buy a new construction home in Austin, these concerns evaporate. In addition to this, because new construction properties in Austin require less maintenance you'll have more free time to enjoy your property you woked hard to buy. It's not a secret the new construction homes for sale in Austin are more energy efficient than older homes. New construction properties will have superior installation, new energy efficient appliances and will save you money on all your energy bills. Investing in a new construction home in Austin with energy efficient designs and layouts are a great benefit that you won't find in older homes. According to the US Department of Energy, a new home is 30% more energy efficient than a home built 5-7 years ago. Modern interiors and layouts are huge draws for homebuyers interested in newer homes in the Greater Austin area. You'll find the closet space you need, easy-to-maintain outdoor space and efficient layouts that can be personalized for your needs. By applying a range of techniques, new construction home builders in Austin will help you achieve significant savings in energy costs and afford you more free time to enjoy your home. We can help find your dream new construction Austin home. Call us at (512) 483-6000 or contact us online and one of our Austin new home and new construction REALTORS® will contact you to discuss your new home requirements. Based on information from the Austin Board of REALTORS® (alternatively, from ACTRIS) from April 22nd, 2019 at 11:33am CDT. Neither the Board nor ACTRIS guarantees or is in any way responsible for its accuracy. The Austin Board of REALTORS®, ACTRIS and their affiliates provide the MLS and all content therein "AS IS" and without any warranty, express or implied. Data maintained by the Board or ACTRIS may not reflect all real estate activity in the market.